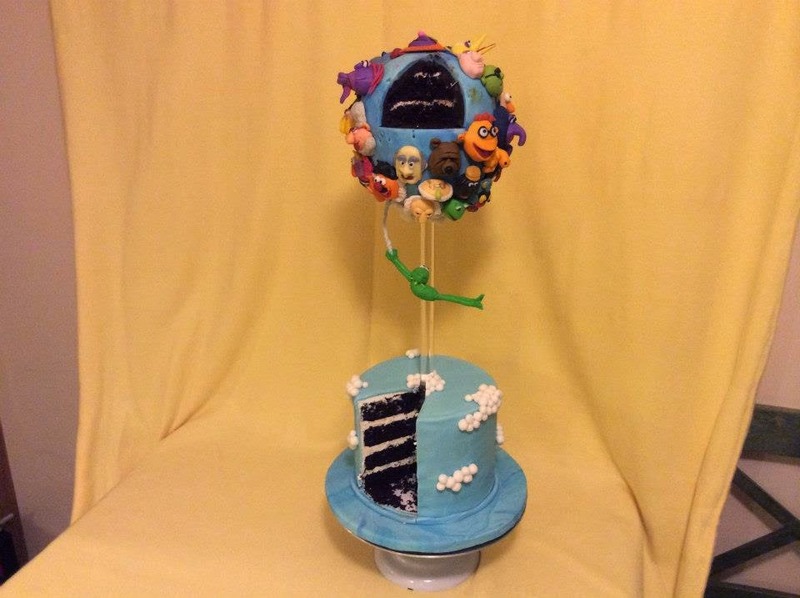 This piece is from October of last year and was for Threadcakes, my first online cake competition. 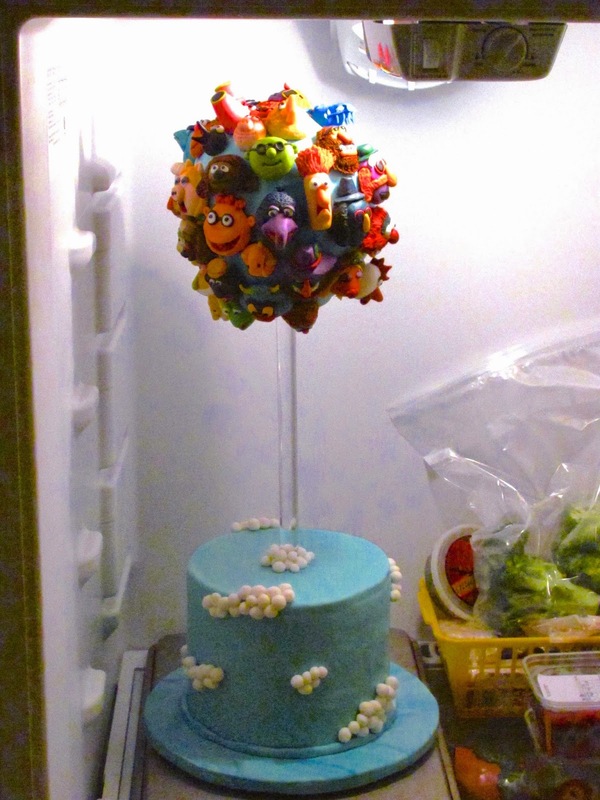 Basically, you get to choose a Threadless t-shirt design, and cake-ify it. 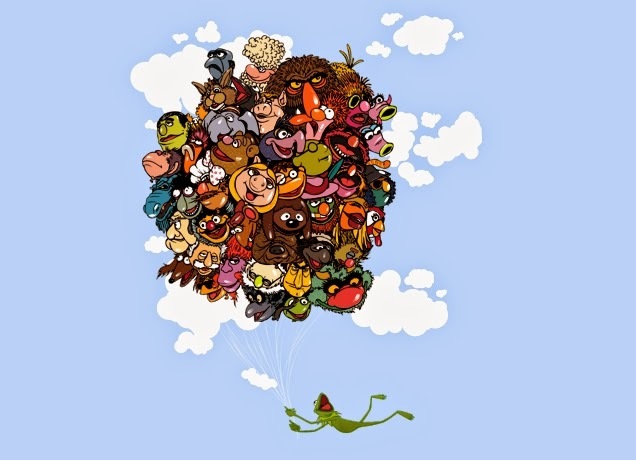 Amidst the sea of t-shirt geekery, one design in particular stood out to me: Your Love Keeps Lifting me, by Chris Gerringer. MUPPETS!!!! Soooooo many Muppets!!! I ::heart:: Muppets!!! 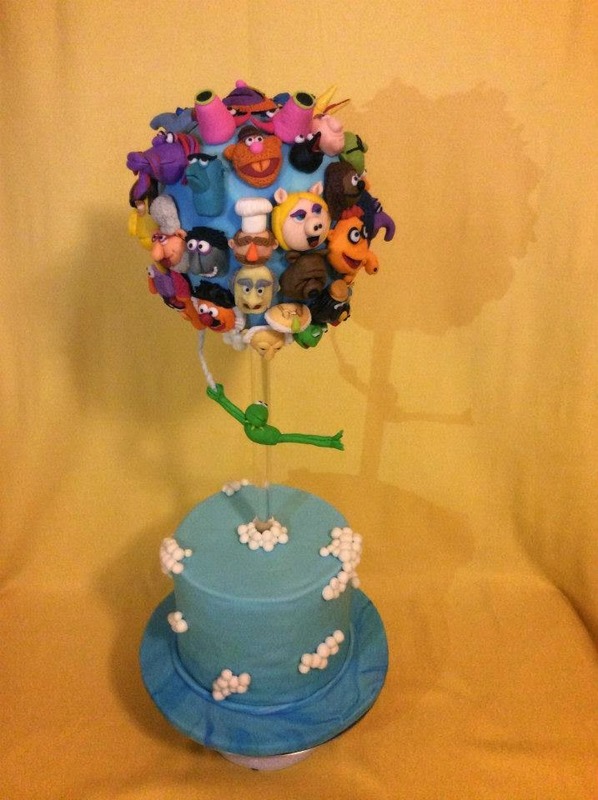 Kermit, Piggy, Fozzy, Gonzo, Sweetums, Pepe, Scooter, Dr. Teeth, the Electric Mayhem…. I love them all. You can find my official entry and the blurb I wrote about my experience here. The shelves in the refrigerator had to be removed to make room for this thing. We didn’t go grocery shopping for nearly two weeks. Our favorite Vietnamese restaurant got to know us really well, really quickly. No one in this scenario was complaining. 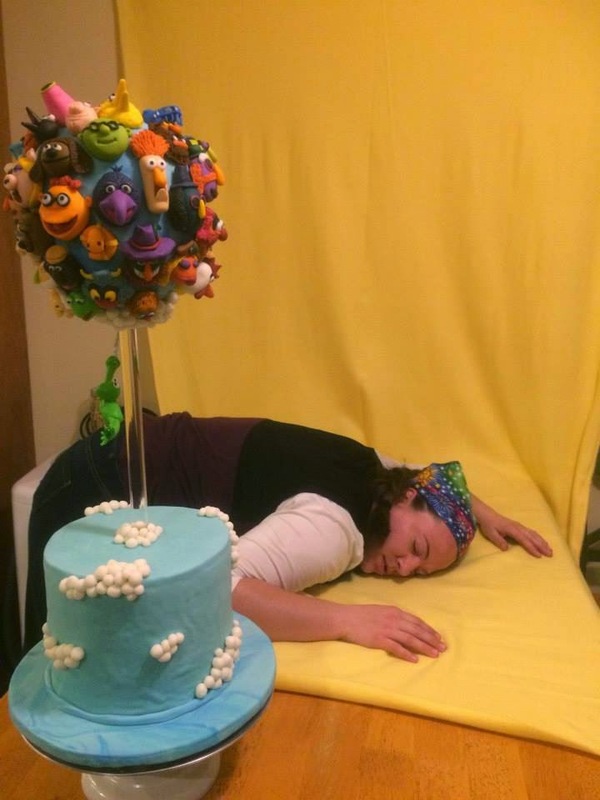 I also learned a lot about cake photography and the proper lighting required for it. This was one of my official entry photos. The photo quality does not even compare to some of the other entries on the site. Needless to say I did not place, but no worries. I had a grand time sacrificing myself for a solid week in the name of Learning Curve! “Free Muppets with every slice!” had become my slogan for the week, as I enlisted the help of friends and family to help me eat this huge cake. After everything had been devoured, these were the tiny faces which I could not bear to part with. They still live in a box on my cake supply shelf, awaiting their re-make into a proper portfolio piece.